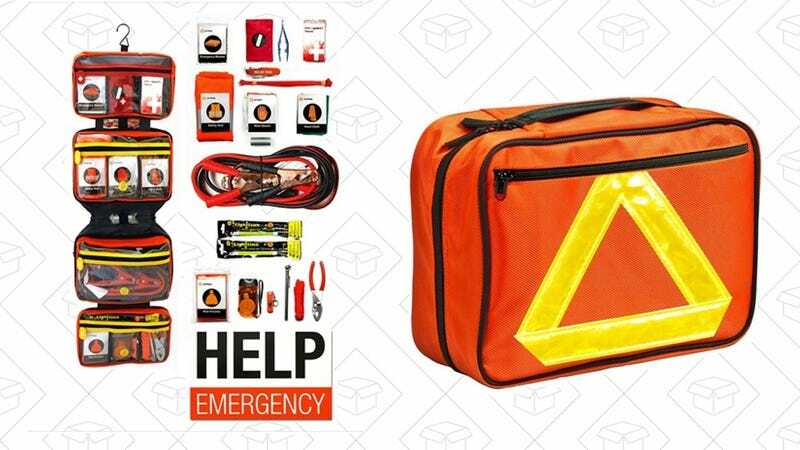 Toss this discounted roadside emergency kit in your trunk, and hope you never have to use it. It comes with a first aid kit and a bunch of other things you might need like glow sticks, rope, jumper cables, and a rain poncho, so you can be prepared for just about any emergency. Today on Woot, it’s selling for just $24, plus $5 for shipping.